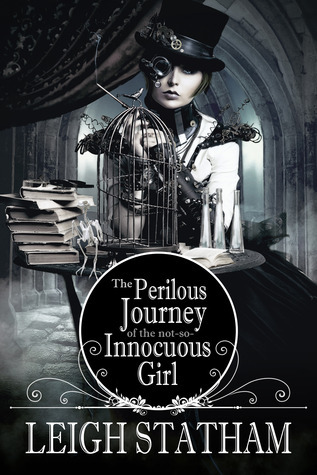 The Best Books Ever: The Perilous Journey of the Not-So-Innocuous Girl by Leigh Statham ~ Blog Tour Review (by Jaime) ~ Giveaway! 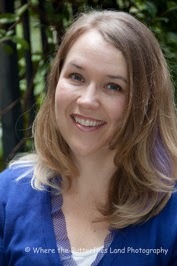 The Perilous Journey of the Not-So-Innocuous Girl by Leigh Statham ~ Blog Tour Review (by Jaime) ~ Giveaway! This review is going to be a short and sweet one, for one reason and one reason alone. I ADORED this story, and these characters, and I don't want to give too much away. It is all worth stumbling across on your own! With a cover to drool over, fantastic characters, a simmering romance, awesome historical settings, and majorly cool steampunk elements, The Perilous Journey of the Not-So-Innocuous Girl (awesome title) easily captivated me, and now that it is over I want MORE! I don't really read historical stories all that often, but when combined with other genres it is something that I adore. The awesome setting in this story was made even better with the adventure, steampunk gadgets, romance and feisty MC. Ms. Statham has a great imagination for world-building, and I found myself picturing Margeurite's life with ease, and a hint of jealousy! I mean, a steampunk cricket! Margeurite was my type of character. She is sassy and smart, curious and intrigued, and she knows who she is and what she can and cannot live with. She doesn't accept that her life is not her own, and she does what she feels she needs to do, sometimes a bit rashly, and she sticks with her convictions. I loved Claude, he was a great best friend. But Jacques was the one for me in the beginning, and to see his and Margeurite's relationship change and grow, with all of the frustrations, and outrages, was one of the best additions to the story! This book swiftly caught my attention, and never once let it go. I didn't want to put it down, even when I should have. When I didn't have a choice but to set it aside, I was thinking about and wondering what might happen next. The steampunk elements of the story were so frickin cool! Everything about this one was cool. I would absolutely recommend this book to anyone who likes adventure, romance and a spunky MC who will keep you on your toes. I will be keeping my eyes peeled for this amazing author from here on out! And I think The Perilous Journey of the Not-So-Innocuous Girl is one I will happily revisit again in the future! I'm just so, so in love with that cover!